On Feb. 12, at 2:27 p.m., the victim’s black, 2013 Big Tex dump trailer bearing Louisiana license plate # J580217 was stolen from the intersection of Cadiz and LaSalle streets. 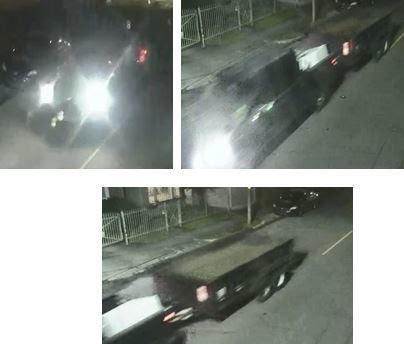 The dark pickup truck was used during the theft. Anyone with information on this incident or the identity and whereabouts of the wanted subjects is asked to contact NOPD Detective Sa’Brina James or any Second District detective at 504-658-6020 or call Crimestoppers anonymously at 504-822-1111 and toll-free at 877-903-7867.